Where does your passion for monsters come from? And how do you define what a monster is? I love diversity and the different; the abnormality sticking out in the homogeneous crowd. I also like the dynamics between light and dark and how they give life and meaning to each other. Werner Herzog said, ‘What would an ocean be without a monster lurking in the dark? It would be like sleep without dreams.’ I am also quite fascinated with the psychology of monsters. Some would say that monsters are the mirrors of ourselves, that we make them, and then fear them for what they show us about ourselves. I think we tend to place monsters into two categories: either the beasts living within us or the beasts living next to us. Fox Spirit Books gives these latter monsters a renaissance, to re-establish their dark reputation, to give them a comeback and let the world know of their real terror. These monsters have no interest in you except tearing you apart or putting terror in your heart. Bless them. What do you think the nature of monsters from local folklore says about a country’s culture and psyche? Folklore is often closely linked to religious beliefs, old myths and legends. I am quite fascinated by how humans of all times, regardless of geography, culture or demography, have created monsters. No matter where you are in the world, monsters have been something to blame when bad things happen – the sudden death of dear ones, bad luck, shipwrecks – or a way to explain mysterious things like thunder and lightning. Many monsters also challenge our thoughts and fears of what will happen when we die, or the relationship between humans and animals in the wilderness. You’ve published anthologies on monsters from Asia, Europe and Africa. How are Asian monsters different from those from other regions? Some monsters are universal. You will always find the shape-shifters, the flesh-eating walking dead and the great monsters of the lakes and sea. But what is important to one culture might not be so vital to another. A signifier in Asian Monsters is the close link between spirits and ghosts and Asian folklore. Some of these spirits and ghosts are mischievous, others quite terrifying, many sad. So the tales about Asian monsters create an almost ethereal, dreamlike atmosphere throughout the book. This is very different from the previous volume, African Monsters, where the stories were more about place and origin, about immigration and going home – maybe a strong witness of how much soil means to the African authors. The African monsters are also more closely connected to magic – like witches; and nature – like the haunting forest spirits, the forest growing wild and the deadly water. Home is also an underlying theme in Asian Monsters, but here it’s more about the family itself and the strong relationships between loved ones – dead, living or absent. Do you think a people’s relationship with its monster fiction and folklore changes with a country’s economic and political development? I think, just as we remember folklore and ancient beliefs, the old monsters will survive. What is interesting is that many of the monsters created today are based on old beliefs; and others are hybrids, created out of climate change or nuclear catastrophe. 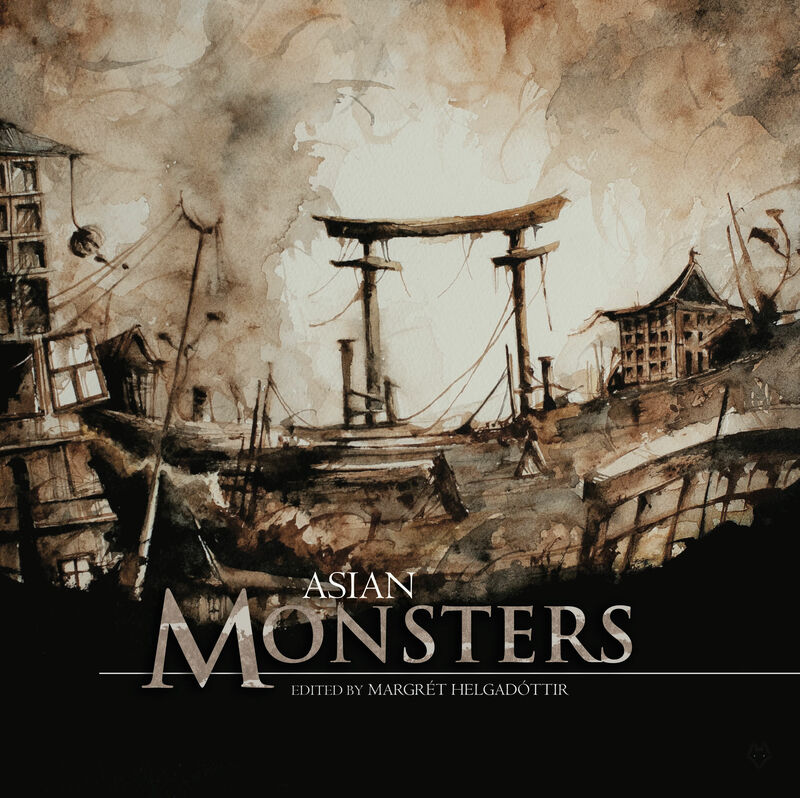 Asian Monsters is published by Fox Spirit Books, www.foxspirit.co.uk.